There is no single test that can diagnose the trigger for irritable bowel syndrome (IBS). Nevertheless, it is important to eliminate other triggers that can have similar symptoms to IBS such as gluten sensitivity (coeliac disease), h pylori infection of the stomach and the early signs of bowel cancer. 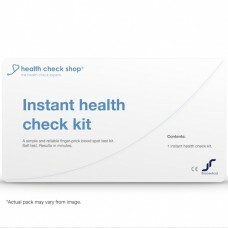 The Irritable Bowel Screen from Health Check Shop contains three of the most common health checks for digestive disorders that are easily confused with IBS. Each test has been proven to be easy to use and provides results as reliable as a doctor's test. The difference is that you use the tests in the privacy of your own home and will get a result for each test within 15 minutes. 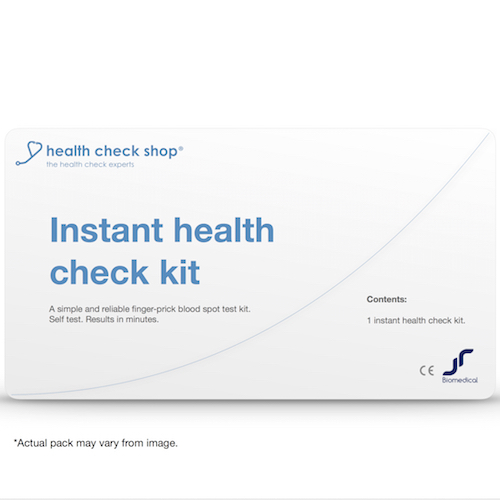 All the self test kits provided by Health Check Shop are CE accredited for self test use according to the EU Directive 98/79EC giving confidence in the quality of the test, ease of use and reliability of the result. Although our tests have been proven to be easy to use and interpret by ordinary people, our nurse led customer service team of scientific, clinical and regulatory staff are here to help if you need further information on how to use your test or interpret your results. All order received by us with cleared payment by 3pm Monday to Friday will be dispatched the very same day. Most of our customers receive their order the next working day when selecting the First Class Post option. Important: Please note that if you need medical advice, please speak with your own GP.